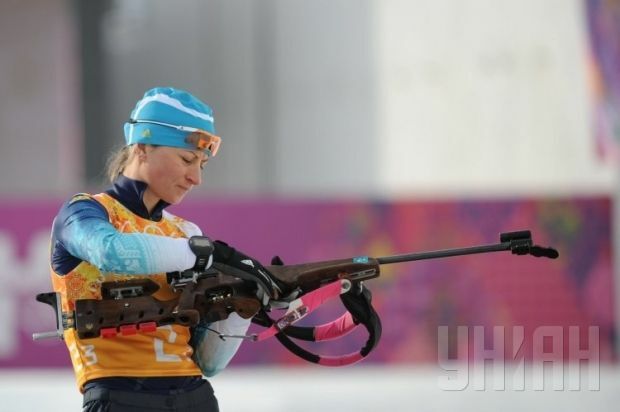 Ukrainian biathlete Valentyna Semerenko has won the gold medal in the mass start competition at the World Championships in Kontiolahti, Finland. Ukraine's Valentyna Semerenko won her first individual World Championship title, claiming the women's 12.5K mass start with clean shooting in 34:32.9, biathlonworld.com reported. The silver medal went to Germany's Franziska Preuss, with one penalty. Karin Oberhofer of Italy won the bronze medal, the first individual medal of her career, with two penalties, 12.6 seconds back. The best Russian result was shown by Yekaterina Shumilova, who was 10th. The 47th Biathlon World Championships was hosted by Kontiolahti, Finland from March 5 to March 15, 2015. It consisted of 11 competitions: sprint, pursuit, individual, mass start, and relay races for men and women, and mixed relay.